The story behind this attraction takes place before the events in the movie Lilo & Stitch. Guests enter the Galactic Federation Prisoner Teleport Center, automatically becoming new recruits in a volunteer guard program. After an explanation and demonstration, we’re taken to a high-security chamber to guard a new arrival: Experiment 626 (aka Stitch). Naturally, the security systems aren’t enough to keep the creature contained, and chaos ensues. 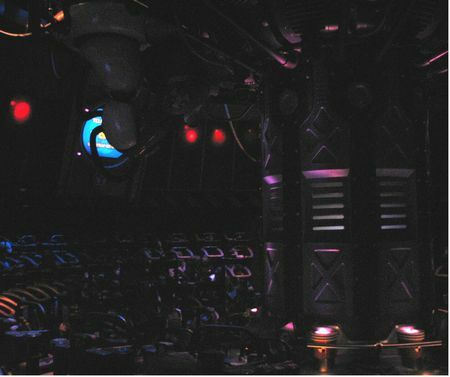 Total darkness, binaural speakers and in-seat water and air effects play with your senses as it seems that Stitch is climbing all around you. Keep in mind that this isn’t the happy, nice Stitch from the end of Lilo & Stitch. This is the mean, nasty Stitch from the beginning. With these somewhat intense special effects, this attraction leaves many little ones crying in terror, which is why it’s consistently the lowest-rated attraction in the world on ThemeParkInsider.com. But among those who appreciate irreverent mayhem, Stitch has its fans.